At our Poole Decorator Centre you’ll find one of the largest ranges of paint, wallpaper and decorating equipment in the area. Our customers tell us we’re the go-to paint place for advice on the technical specifications of all sorts of products. As well as designer and standard trade paints and offer protective coatings expertise. 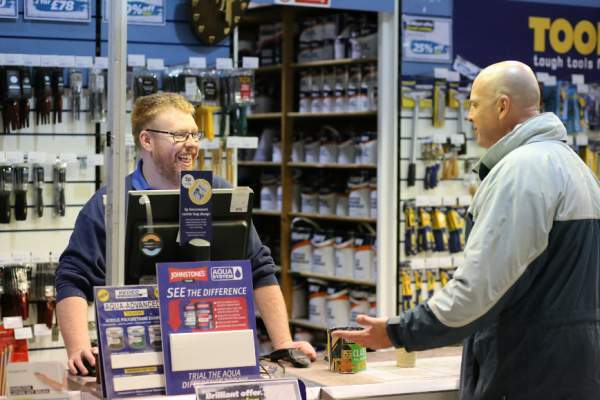 It’s not just the expertise (or the free drinks machine) that wins us loyal custom – we make great service a priority and enjoy really good relationships with tradespeople and retail customers alike. There’s ample parking outside and the branch is wheelchair-friendly. There’s also a kids’ area to keep children happy while you browse or seek advice. 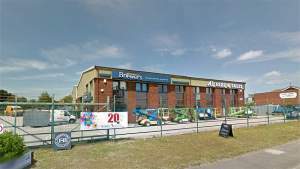 We’re opposite the Ryvita factory on Old Wareham Road (just off the A3049 Dorset Way), directly next door to A1 Hire. If you can’t make it in to see us, we’ll deliver anything from colour cards to pallets of paint to your door the same day. Travelling down Old Wareham Road towards the A3049 you will find the store on your right, turn into the carpark just after the store. Heading south down the A3049 take the first exit off the roundabout onto old Wareham Road. Follow the road along passing Yarrow Road you will come to the store on your left.